The Google Interland web app is a brilliant tool to help children connect with the internet as a useful tool in a safe and positive way. Interland has been around since last year, but it's only come to my attention last week, when Google launched their Safety Centre in the UK. Their latest campaign focussed on personal data privacy and security and how Google is working to protect that. One of the sections is about Protecting Families - and that is what we're going to look at in this article. Google recognises that families and children engage with the internet and children are growing up with technology. Children don't see tech the same way adults do, as they have never known a world without the internet. Teaching our children how to use the internet safely is just as important as teaching our children to read and write or catch a ball. It's a life skill they need to thrive in the world. At Tech Age Kids we encourage families to learn tech skills together and engage with technology as a tool to support family life and family activities. The Safety Centre provides some great resource for families, including how to set digital rules for your family and teach your kids skills so that they can be smart, savvy and confident users of the internet. 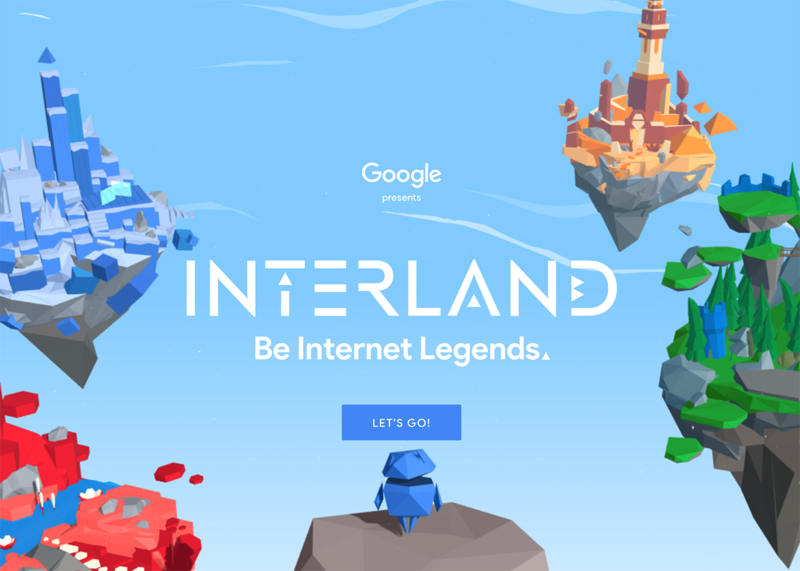 We took a closer look at Interland, a web app game made by Google, to help kids learn how to use the internet safely and make smart decisions when using it. Mindful Mountain - helps you think about what you are sharing online and who can see it. Tower of Treasure - teaches you about what data you need to keep safe and how to create good passwords to protect your data. Kind Kingdom - explores the fact that the internet is a place for everyone and we are all different and so we need to be kind and considerate when we use the internet. Reality River - tests your ability to spot the difference between fake new or fake information and the real thing. I spend an afternoon going through the different islands with my 8 and 10-year-olds. We all learned something and I would highly recommend families taking some time to look at Interland together. The games are fun and engaging and teach valuable skills at the same time. Although some of it is narrated, there is a fair bit of reading so younger children would benefit from doing it alongside an adult. At the end of each section, you can download a certificate of achievement. After completing Tower of Treasure my 8-year-old pointed out that his password wasn't safe enough because it didn't contain a special character. This comment sparked a conversation and we engaged in an activity to create a smarter password (and one he could remember) that included all the new methods we learned. There is a family pledge which you can download, print and sign to remind you of all the things you need to think about to use the internet in a safe and useful way. This is a great resource for teachers and Google has made a number of resources available for the classroom. Technology and the internet are brilliant tools and as parents and teachers we need to give children the right skills to use these tools in a creative, useful and safe way. Google Interland is available for free and works in any web browser on a computer or tablet.